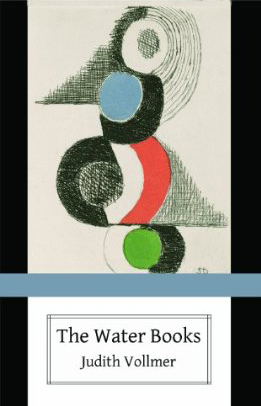 "The Water Books is a remarkable achievement for its tough wit and shimmering beauties. Vollmer is both guardian and scribe, with a naturalist's sharp-eyed ethos that snakes through watery realms, clear up to the Northern Lights and down to her own 'fire-rings' topaz and saffron stars.' As above so below. Her Rome and Pittsburgh meet as vivid-equally adored-parallel gem-lines in a magnanimous space. These poems are feats of a heightened, familial, and adhesive consciousness, very good news for us all." 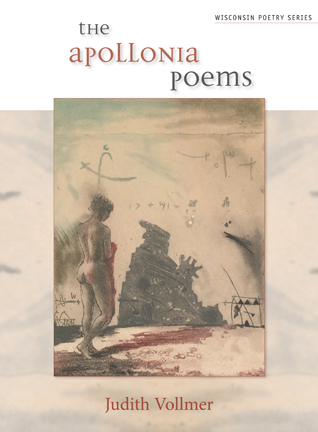 "[Vollmer] is a poet of dizzying tonal and stylistic range, offering searching meditative poems, vividly rendered character portraits and elegies, and short poems of epigrammatic prevision. Above all, she has an unerring ability to arrive at those moments when quotidian objects and events are suddenly given the aura of something more vast and more vexing: call it historical force." "If Literature is 'a study in comparative humanity,' and I think it is, Reactor places new emphasis on our complicit age of nuclear fission at all levels of conscientiousness, in the strategies of highbrow expatriates, and Vollmer's identification with the 'lowest of the low' wayfaring strangers, a high-wire act among her pantheon of peasant witnesses. This archeology of tonalities, sometimes evinced with compelling lines from her literary ancestors, connects the fierce remembrance of 'family,' hers and ours. We have a new vocabulary of songmaking, ancient and modern." "In Reactor, Vollmer explores the exercise of power-familial, literary, nuclear, political. 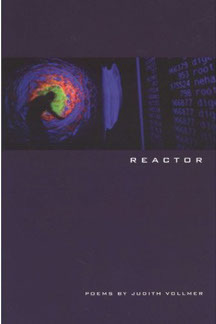 The contaminating 'silver coin of plutonium' races through these poems, casting an eerie glow... read Reactor and let Vollmer refresh your geography in startling ways." "The subject-the obsession-of this book is place; the particular focus of both its rage and its love is the American city. What is amazing is the book's exemplary originality." 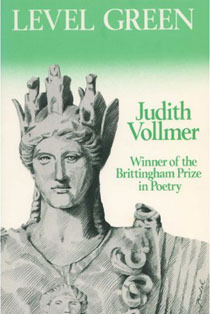 "Vollmer's embrace is so wide, her enthusiasm for participation in the streaming variations of life so evident, that these poems sweep us up in their energies, their flesh-and-blood longings, their deeply human sense of helplessness and hope. This is a citizen's testament, as passionate and complicated as a great city demands." "Her poems have an electric energy, and they have compassion, as they stand witness to personal happiness, inquiry, anger-as they bear the knowledge of the political and spiritual cripplings of our time." "Radically real-generous, social, sensual, smart-Level Green is loaded with humanity, solidarity, and love." A limited edition 100 handmade fine arts books, Center for Book Arts, New York.